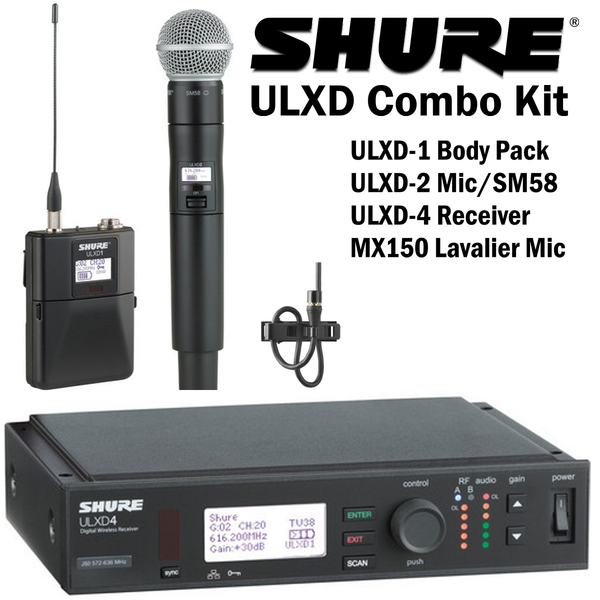 This Shure ULX-D Series Digital Wireless Combo Kit consists of a ULXD4 single-channel wireless receiver, a ULXD1 bodypack transmitter, MX150 lavalier microphone, and a ULXD2 handheld transmitter with an SM58 capsule. It can be deployed in various environments in a wide variety of application such as live presentations, stage, theater, houses of worship, boardrooms, conferences, education and more. Tuned to Shure's H50 frequency band (534 - 598 MHz), the system offers 24-bit audio clarity and efficient RF performance in a single channel receiver. 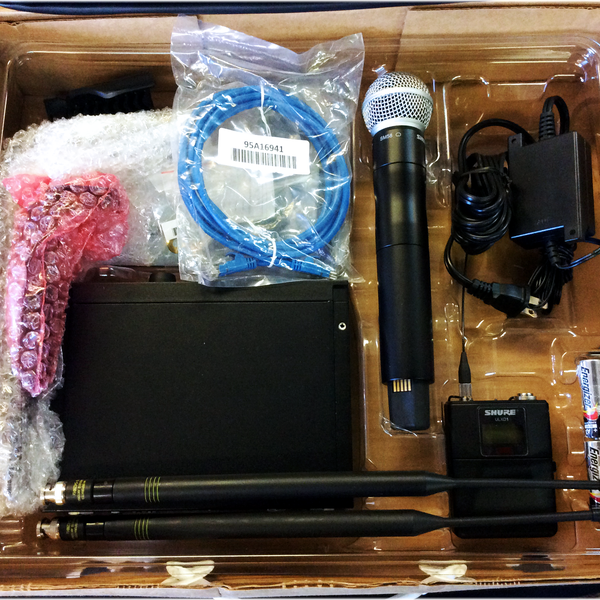 The combo system provides the option to choose between the handheld transmitter or the bodypack transmitter and lavalier microphone – though only one of the transmitters at a time may be used. The ULX-D Series of wireless systems delivers the legendary rock-solid performance Shure has become known for at a competitive price point. The ULXD2 Handheld Transmitter with SM58 Microphone Capsule from Shure is designed for compatibility with Shure's ULX-D wireless systems. It has an interchangeable SM58 capsule and is set to Shure's H50 frequency band that operates between 534 to 598 MHz. The ULXD2 has AES 256-bit encryption that keeps your signal secure. Featuring Shure's proprietary Gain Ranging, the ULXD2's dynamic range is optimized based on the input source and eliminates the need for transmitter gain adjustments. It has a lightweight, 12-ounce metal body with a backlit LCD menu with frequency and power lockout to avoid accidental setting changes. Powered by two AA batteries or the optional SB900 rechargeable battery pack, the ULXD2 has external charging contacts and is compatible with the SBC200 dual docking charger. The ULXD1 Wireless Bodypack Transmitter by Shure can be used in various applications and environments, and pairs with the ULXD4 receiver. The ULXD1 compact bodypack transmitter is enclosed in a rugged metal housing with a TA4-M (4-pin male) audio input connector and features a comprehensive LCD display. The Shure MX150 Subminiature Lavalier Microphone is a subminiature, multi-positioned clip-on microphone well-suited for broadcast operation, sermons, presentations, public address and even works well on stringed acoustic instruments. 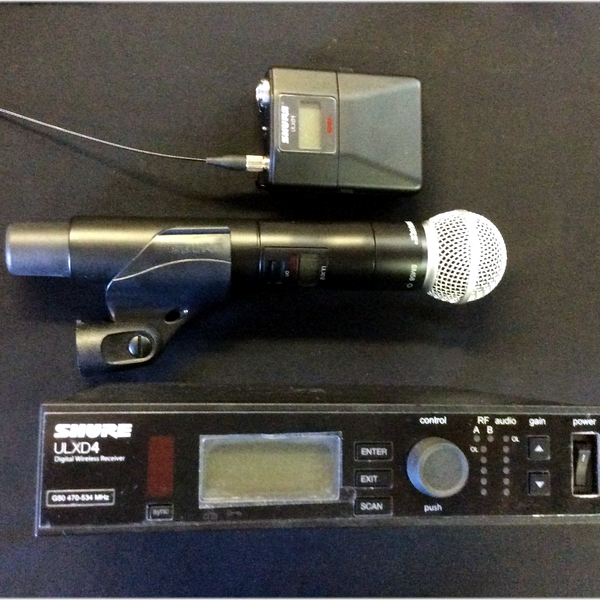 This version features a TQG connection for use with Shure wireless bodypack transmitters. Shure's CommShield technology makes the MX150 impervious to noise caused by cell phones, PDAs, WiFi and other causes of RFI interference. The microphone ships with a snap-fit foam windscreen and multi-position tie clip with an integrated cable management system that minimizes noise without increasing cable strain and tension. 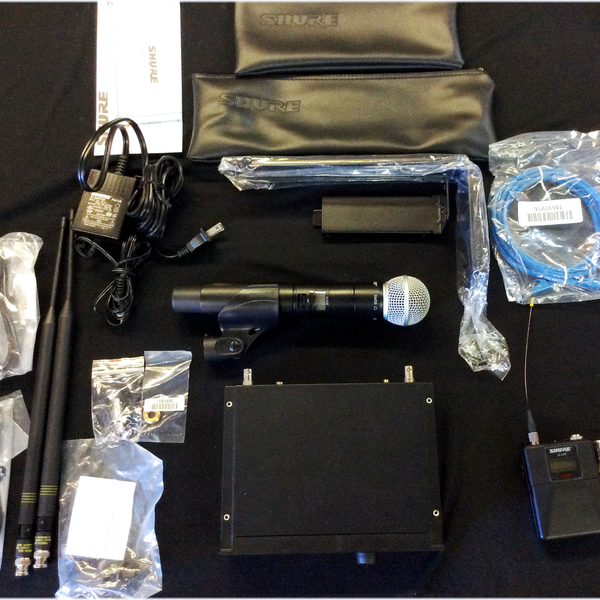 Full product specifications and details are available at Shure.com website and the associated ULXD Product Pages.